Government Shutdown Baby Boom: Real or Coincidence? D.C. area hospitals see a spike in births. 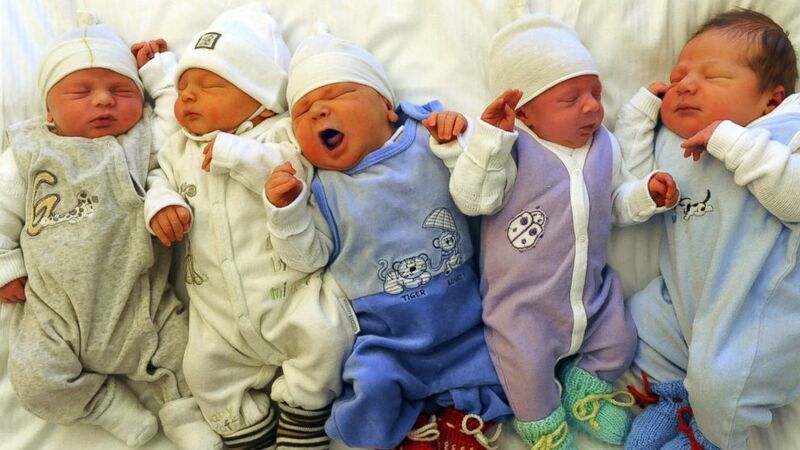 camera (Waltraud Grubitzsch/AFP/Getty Images) Newborn babies are pictured in a university hospital. File photo. It’s been nine months since the government shutdown, and some D.C. area hospitals are reporting a surprising development: Babies. Lots of them. Sibley Memorial Hospital in Washington, D.C., has seen an additional three births per day in July, according to spokesman Gary Stephenson. Virginia Hospital Center in Arlington delivered 99 more babies in April, May and June than they did in the same stretch last year, according to spokeswoman Maryanne Boster. Both hospitals stopped short of crediting the two-week shutdown in October 2013 for the spike in births, stressing that the apparent link was purely anecdotal. But it’s not the first time a local baby boom has been blamed –- albeit anecdotally –- on an event nine months prior. Some days Greenfield has 20 women in labor, she said. Other days, there are four. “There are so many things that play into whether someone gets pregnant,” she said, explaining that a small proportion of furloughed couples would be fertile –- not to mention eager to conceive -– during the two-week shutdown. But other OBs say they not only see an uptick in births nine months after unusual events like blizzards and blackouts, their patients say those events are why they got pregnant. “I can say that I've definitely seen spikes after things like hurricanes, blackouts and blizzards,” said Dr. Jennifer Ashton, ABC News’ senior medical contributor and a practicing OB/GYN. “I’m not aware of any hard data on this, but anecdotally, many obstetricians will ask their patients about the events nine months prior, and many women will say 'Yes, we conceived during the blackout.'" Ashton said it’s definitely possible that the link is coincidental, and said there tend to be seasonal fluctuations in birth rates as well.